For years, Hasbro has been trying to do something with Monopoly, the classic board game that everybody owns and nobody likes. The toy company first floated the idea of a Monopoly movie in 2008, long before Battleship and Ouija brought in their disappointing box office returns, but the project didn’t start getting enough good dice rolls to actually move forward until 2015. A year later, with movement on the Monopoly movie stalled, Hasbro decided to try taking the game to Broadway with a musical that “explores the world of Monopoly.” Now, with both Battleship and Ouija long forgotten, Hasbro is bringing the dusty old Monopoly box down from the shelf for another attempt. According to Deadline, Ride Along and Fantastic Four director Tim Story is the latest unlucky soul to be trapped in the exhausting capitalistic nightmare that is Monopoly, and he’s bringing his frequent collaborator Kevin Hart along with him. 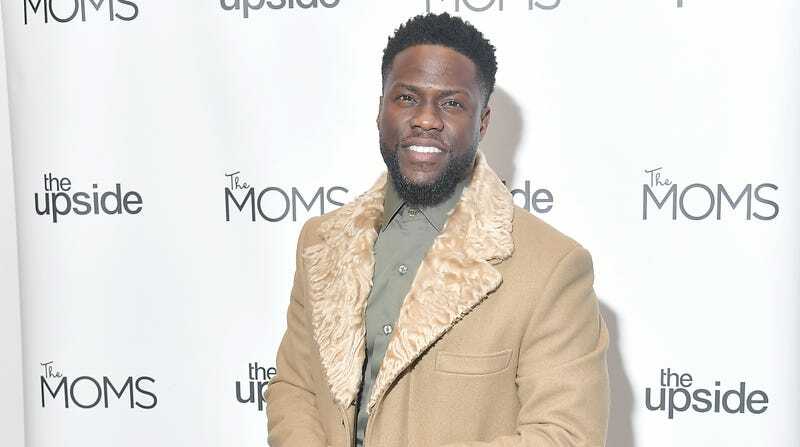 Hart is set to star in the film, but whether that means he’ll be playing game master Rich Uncle Pennybags or some regular guy who gets involved in the Monopoly shenanigans remains to be seen. Lionsgate is working with Habsro on the film, and a writer hasn’t been locked in yet, but Deadline notes that the previous attempt to make the game into a movie would’ve been about a young man growing up on Baltic Avenue (like from the game!) as he tries to get rich—and, presumably, move into a ritzy hotel on Boardwalk or Park Place. As for Hart, clearly the controversy that lost him the Academy Awards gig isn’t hurting his acting career at all, unless we’re really operating under the assumption that appearing in a Monopoly movie will be just as torturous as playing the game is (even if the movie is about Star Wars Monopoly, which is obviously the best version).